Whenever we encounter an obstacle, a trauma, a hardship, or any negative aspect to life, we often feel alone, as if no one else has gone through what we are facing. This compilation of true stories should help alleviate that feeling. 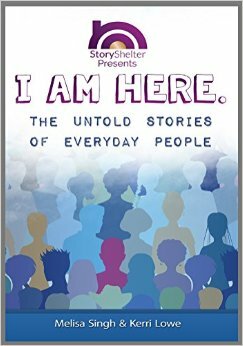 Written from the heart of the forty-two writers that contributed their stories, this book covers a great many of the experiences that life throws at us. Their ability to overcome is inspiring and serves to remind us we are not alone. The stories come from the web site StoryShelter.com, and while each are compelling, they are also well written. Some are humorous, some sad, but all are worth the time to read, Each story is short and could almost be used as a devotional, reading one each day. This is a book that would be good to have next to your bed so you could read a story before drifting off. And no matter what is going on in your life, no matter what kind of day you may have had, you will be reminded, you are not alone.